Loft conversions create additional habitable rooms in your home. These can be ideal for a new bedroom, playroom, home cinema or bathroom. This article discusses loft conversion costs in London and highlights the various design options available. Many properties in the UK are suitable for loft conversions. Often the changes do not require planning permission as the works can be classed as ‘permitted development’. This is, therefore, a great way to expand your home. An architect will ensure that the space is best utilised, beautiful and carefully designed. Visit our portfolio to see Architecture for London’s recent loft conversion projects, or contact us on 020 3637 4236 to discuss your project. Moving house in London can cost in the region of £40,000, including estate agents fees and stamp duty. Saving these costs and extending your existing home with a loft conversion could be a more financially viable approach while potentially adding 20% to your house’s value. The extra space gained from a loft conversion could allow you to give your teenagers their own space; install that cinema room you always wanted; or make money with Airbnb. In addition to the financial and lifestyle benefits, the thermal performance of your home would be dramatically increased, creating comfortable internal temperatures and reducing your carbon footprint. Many existing properties have very poor roof insulation and as part of the loft conversion works, the roof would be insulated to meet current building regulations as a minimum. 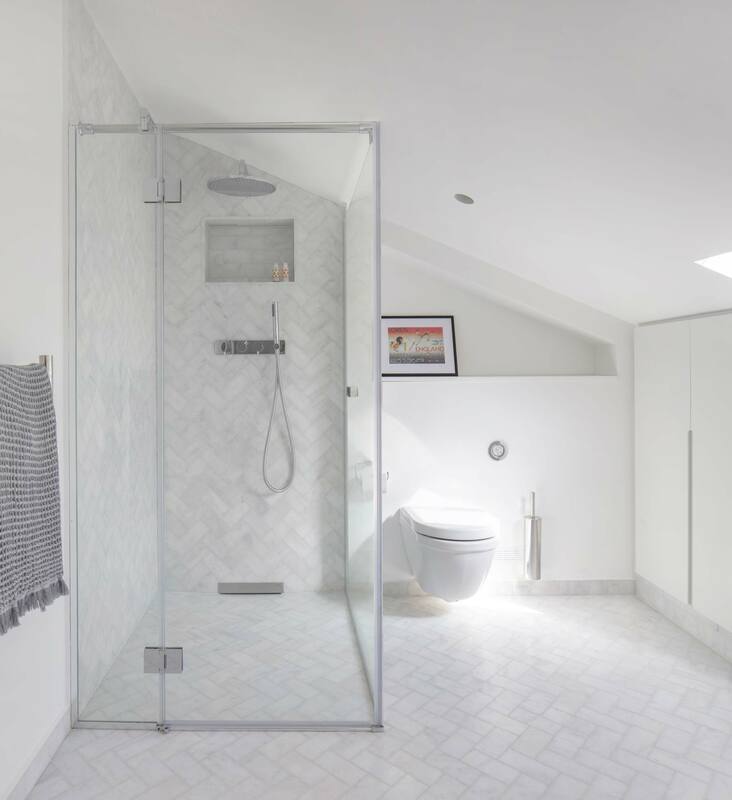 A loft conversion in west London with an ensuite bathroom under the front pitched roof. How much does a loft conversion cost in London? Costs of construction in London are higher than other parts of the UK especially when working on an existing building. 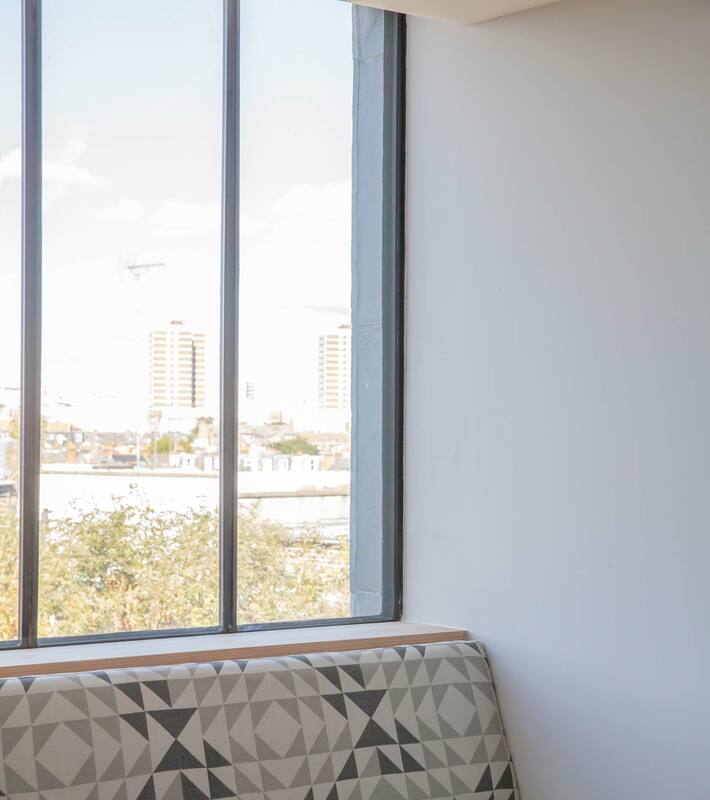 However, working in a loft space will often save on the time and cost of a planning application and is typically more affordable than a house extension. Additionally, there is no need to sacrifice your garden space, as with a rear extension. Loft conversion costs in London are £40,000 to £70,000 on average excluding VAT and fees. The costs will vary depending on the size and complexities of the conversion. It is important to find out the rough size of the loft space to calculate your loft conversion costs. This also helps to decide if your plans are feasible in the space available. There needs to be adequate space under the ridge of the roof, ideally 2.3 metres and at least 2.1 metres of space above the location of the new stair. Along with the height, measure the full width and length of the space. A single ‘room in the roof’ loft conversion, with a floor area of 18 square metres, without a dormer is the most affordable option. Construction costs for a room in the roof can start at £30,000 excluding VAT and fees. This cost would normally cover new floor reinforcement, insulation, staircase, electrics, two or three roof lights, heating, fire safety measures and lighting. As a minimum, loft conversions with roof lights only cost £1,500 per square metre, excluding VAT and fees (£140 per square foot). Dormer windows add extra light to your new room and also significant extra height. This approach might allow you to fit in both an ensuite and bedroom. Dormers are formed from a small flat roof projecting from your existing roof with a window. The extra internal height created by a dormer can also allow the staircase to be positioned in more locations. Adding a dormer affects the external form of the building. This approach is more likely to require planning permission if your house is in a conservation area. Speak to an architect about your budget and requirements to establish if a dormer approach is suitable. As a minimum, loft conversions with dormers cost £1,750 per square metre, excluding VAT and fees (£164 per square foot). Total costs are likely to be a minimum of £50,000. Depending on size, design aspirations and quality of the space that you desire, costs can increase to over £100,000 for larger homes with multiple bedrooms and bathrooms and high-quality finishes. A loft conversion in west London with a large glazed rear dormer and a window seat. Architects or loft conversion specialists would normally be appointed to design your loft conversion. Involving at architect is usually the best way to maximise the potential of the space and quality of the design. Architects’ fees are usually based on a percentage of the construction cost, but can also be lump sum fees or time charged. See our guide to architect’s fees for more information. If there are structural alterations to the roof or a new complex staircase then the services of a structural engineer would also be required. If required, planning applications cost £206 in England. This is the updated cost from 2018 onwards. This would be for a ‘Householder application’, which is appropriate for alterations to single houses including loft conversions. See our guide to planning application costs for more information. Even without planning requirements, the loft conversion will need to be inspected by the local authority or an approved inspector. Approved inspectors are independent specialists that certify compliance with the building regulations. An approved inspector will check that the works are of sound construction, good thermal performance and that fire safety requirements have been met. This costs £600 or more depending on the scale of the project. If your home is terraced or semi-detached then you share one or more walls with a neighbour. If your loft conversion requires this shared wall to be altered then a legal agreement must be established between you and your neighbour. This can be as simple as issuing a party wall notice, but frequently can become more complex, with party wall awards. Party way surveyors handle the process ensuring fairness for both parties. This costs £1,000 or more depending on the scale of the project. If you wish to have a clear estimate of your project costs at an early stage, we recommend appointing a quantity surveyor. A quantity surveyor manages the cost issues and ensures that you pay the builders a fair price for any variations you may make during construction. A QS might charge between 0.5% and 2% of the build cost depending on their level of service. For an £80,000 project, this is in the range of £400 to £1,600. Specialist surveys may be required for some properties such as checking for asbestos, bats (if a protected species) or damp investigations. These costs range from £500 – £2,000 per survey. Construction work on existing buildings is known for being unpredictable. We recommend allowing for a 10% contingency of your total building costs. Expect this cost to be used up and not just for emergencies. It may not be possible to know how much of your existing roof structure can be reused when adding a dormer until the works have begun. Using a suitable contract with your builder can prevent unfair unexpected costs. Most homeowners can convert their loft without planning permission, under permitted development. However, homes within conversation areas and listed properties will require permission from your local authority. Hiring an architect with experience in conservation areas and with listed buildings can help you navigate these sometimes complex policies. At Architecture for London we have extensive experience with listed and conservation area properties throughout London. If your roof is steeper then the liveable space will be greater. Houses built pre-1960s are better to convert due to the space between the roof structure and steeper pitch. After the 1960s the pitches tend to be lower and the new roof structure types require more work to convert. What value to your home is added with a loft conversion? Research from Nationwide’s chief economist shows that a full loft conversion can add 20% to the property’s value. A large master bedroom in the loft might add 15% to the value of your home, and an ensuite bathroom 5%. The value of extending your home is not only monetary but in the improvement to your quality of life. Investing in a good quality, architect designed home in London will increase its value and be a joy to live in. 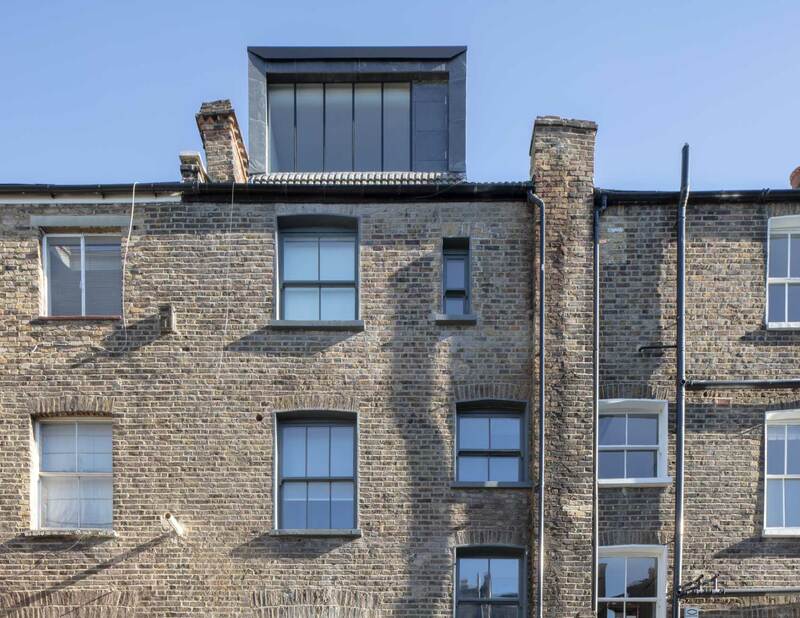 To see Architecture for London’s recent loft conversion projects, please visit our project portfolio.